Children's Book Published! Art Show Recap! Woodworking! Emily and the Penny Adventure!! So over the past year and a half, several things have happened. I illustrated a children's book which was written by Clare Phillips and then published by Xulon Press Publishing. It is a really fun book appropriate for all ages (but meant for 3-7 year olds). If you are interested in purchasing it, you can find it on Amazon, HERE. This was an amazing experience and there are more books in the Emily series to come! I have been asked to continue illustrating and could not be more excited. I participated in an amazing show along with many talented artists from all over Chicago, which was held at one of my favorite venues, The Metro. Some of the work I showed as well as a couple of little blurbs about the work and myself can be found HERE. I make wood stuff now?! I have been trying to get into the woodworking game for a while now. But I just didn't have space for the tools and saws I needed, not to mention I didn't have any of those tools or saws. My situation has changed on all of those fronts, and I now have a small (but growing) wood shop. I love Nick Offerman, so I got got his book Good Clean Fun, which is AMAZING. Go find it on Amazon HERE if you like humor, woodworking, or want to learn about the amazing artists that make up Offerman Woodshop. Here are images of my first project, from which I got the plans out of Good Clean Fun. It is a stool inspired by Wendell Berry the renowned poet and Author, and a favorite of Offerman's. The stool I made was built from Black Walnut (legs) and Red Oak (seat). It is all mortise and tenon joints, no nails or hardware was used. 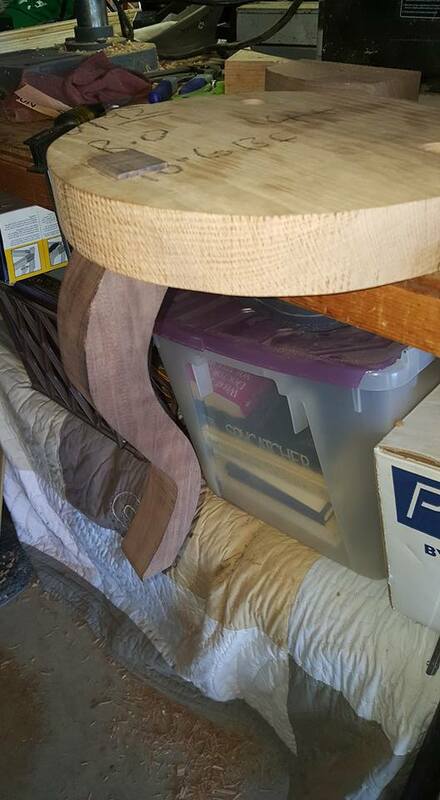 I am currently making a chair to match. 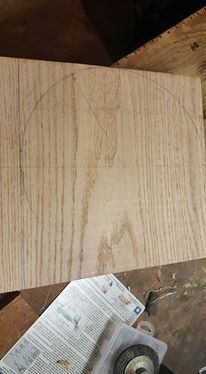 I will post those pics when I finish the chair. Chiseling out the mortises on the seat. LEARN TO DRAW COMICS! TAKE MY CLASS THIS SUMMER IN CHICAGO! I am teaching a class titled "The Visual Language of Storytelling" at The Chicago Publishers Resource Center (CHIPRC) this Summer! I'll be teaching concepts in visual storytelling that can be applied to story-boarding, film-making, and COMICS! Learn how to convey your story using visual techniques and writing devices that translate directly into clear, sequential artwork. When you leave this class you will have a story in both forms–script and finished artwork. Click HERE to check it out and SIGN UP! cheers, Steve. Blue Collar Black Sheep has been Featured in Hand Papermaking Magazine! During my Graduate Program at Columbia College Chicago, I had the privilege of working under Artist/Master Papermaker, Melissa Potter. As a leading voice in Socially Engaged Art and an authority in Hand Papermaking, she was interviewed about Young Papermakers that are making an impact in the field, by Hand Papermaking Magazine. I was honored to be included among the artists featured in this piece for my project Blue Collar Black Sheep. See more about Blue Collar Black Sheep HERE. Reprinted with permission from Hand Papermaking vol. 31, no. 1 (Summer 2016), © 2016 by Hand Papermaking, Inc. (www.handpapermaking.org) All rights reserved. Welcome back. Thanks for the loyalty and you can look forward to a better record/documentation of my current work right here. I recently completed a residency at the Center for Book Paper and Print at Columbia College Chicago. I submitted a proposal to get access to the papermaking and print facilities to continue working on my Blue Collar Black Sheep series. If you aren't familiar, you can read about the first book right here. I continued making paper to represent building materials, continuing the theme of closing the gap between creating fine art and traditional building trades. Using cotton fiber, pigmenting, pulp painting (it was more like pulp pouring) and a stencil technique, I was able to create large scale (22" x 26") sheets of handmade paper resembling drywall, blueprints, and brick. For the brick, I started with pigmenting the cotton gray (mortar) on a large planet mold sheet. Then I cut out a stencil of a mortar pattern out of mylar (one continuous piece) and laid it on top of the wet sheet of grey. I then pigmented another batch of cotton Brick-Red and poured the red pulp into the brick spaces left by the mylar stencil. Brick wall after red pulp was poured and stencil removed. I also pigmented a small batch of pulp a little lighter than the first red and did a little two-tone action by pouring both shades on the same sheet. So there you have your bricks...to follow that up, let's get to some dry-wall paper. I did another gray base sheet, the same way I started the brick. I then laid two wet pelons over each side of the gray base sheet and left a gap wide enough for that strip of white you see to mimic drywall seam taping. 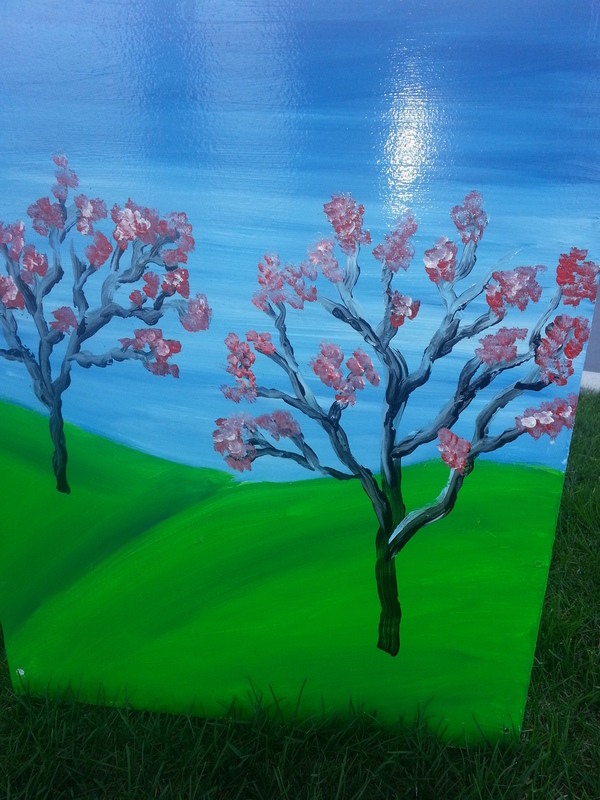 I poured unpigmented white pulp in the gap the create the "tape". I did this for the x-axis, and then for the crossing tape on the y-axis. To create the nail patch circles, I carefully poured small piles of white pulp at equal distances around the "tape". As you can see, I lucked out again and the press did not destroy the integrity of the hard lines I created with the white pulp. The blueprint paper won't be much to see until I get the white-ink content printed on there but I'll put this here just to complete the trio. So that's what I was able to get done over my two week residency at the Center. I got about 4 sheets of each "building material". I am creating content now to be printed on these sheets which will continue the story of the first book, and it will be in our favorite narrative format - comics! Thanks for reading and check back later in the week for an update on the children's book I was just commissioned to draw...Emily and the Penny Adventure! Hey there! I ran into Nate (@SithKnightmare) at C2E2 (in the beer line) this year, and he asked me to be on his podcast. We got to talking about the inspiration for Career Suicide and had some great conversation about the merits and pit-falls of hand-drawn comics vs. digitally created comics. Listen to the whole thing right here! I will be showing a few paintings and selling some prints and comics at the Celestial Gala at Gallery Bar in Chicago on September 27th. The Gala will be a fund raiser for the Other World Theater Group in Chicago. 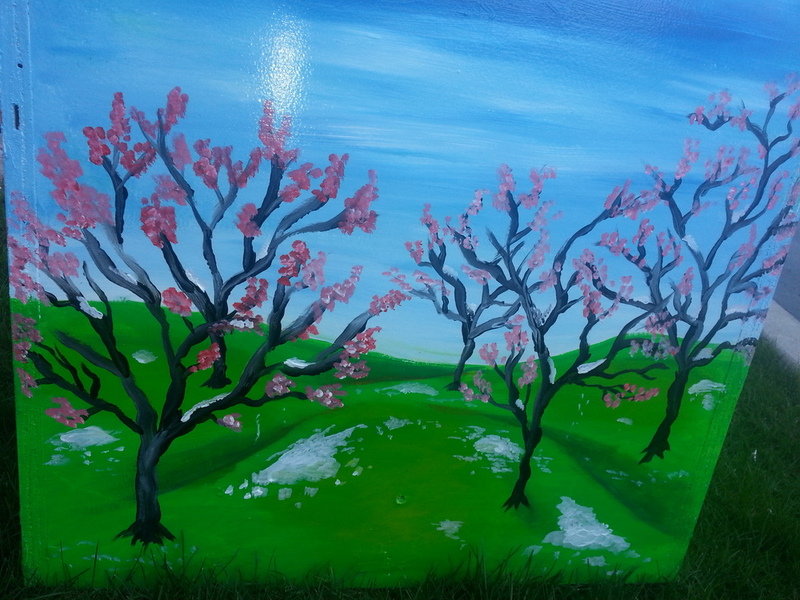 To learn more about the event and Gallery Bar Chicago, check out the link. Hope to see you there! Hello again all! 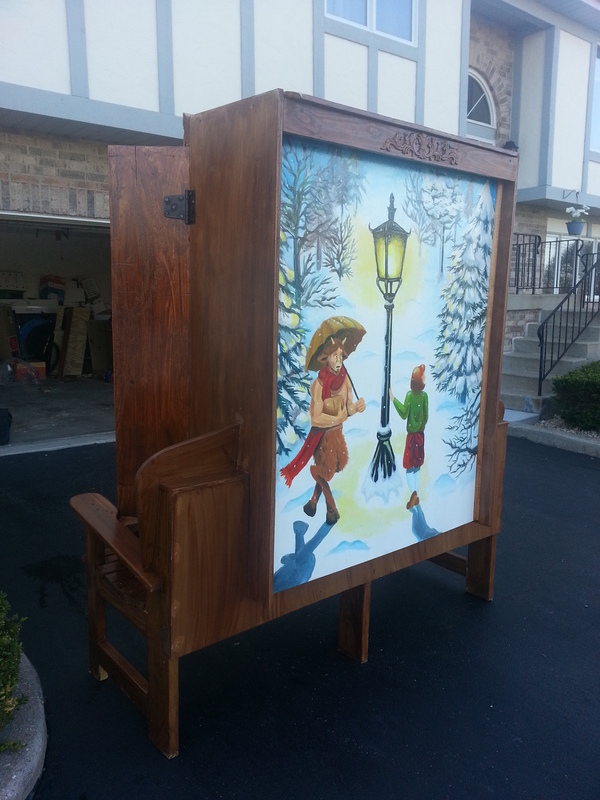 Well another year has come and gone and I was selected once more for the Benches on the Avenue 2014 project for the community of Tinley Park. This year's theme was "Let the Games Begin!" I submitted the idea of doing a Mario Brothers Bench and was thrilled when they accepted my design. 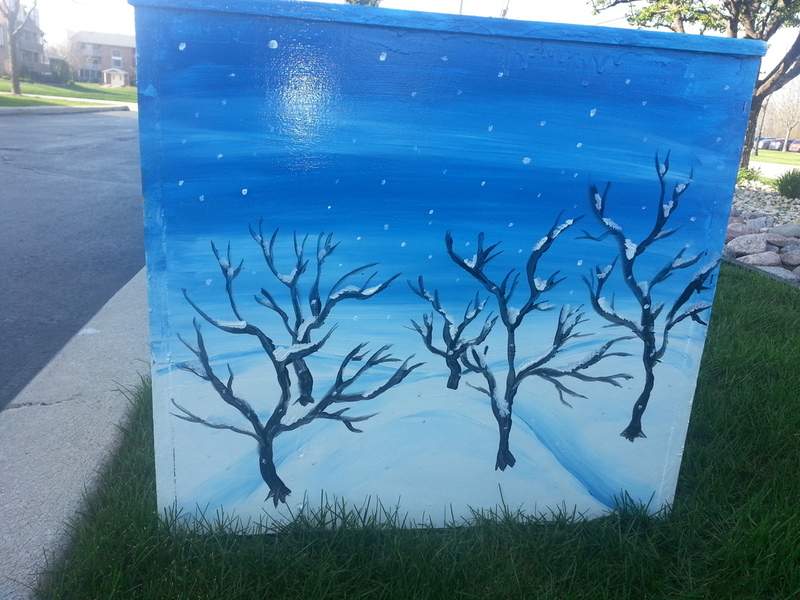 For those of you who are unfamiliar with the project, each year Tinley Park chooses 20 artists from all around the Chicagoland area construct benches that fit a theme for that year. On May 1st the benches are installed up and down Tinley's historic Oak Park Avenue in the middle of the Village's shopping and entertainment district. The benches remain there until October 1st when they are returned to their sponsors or donated to the community. 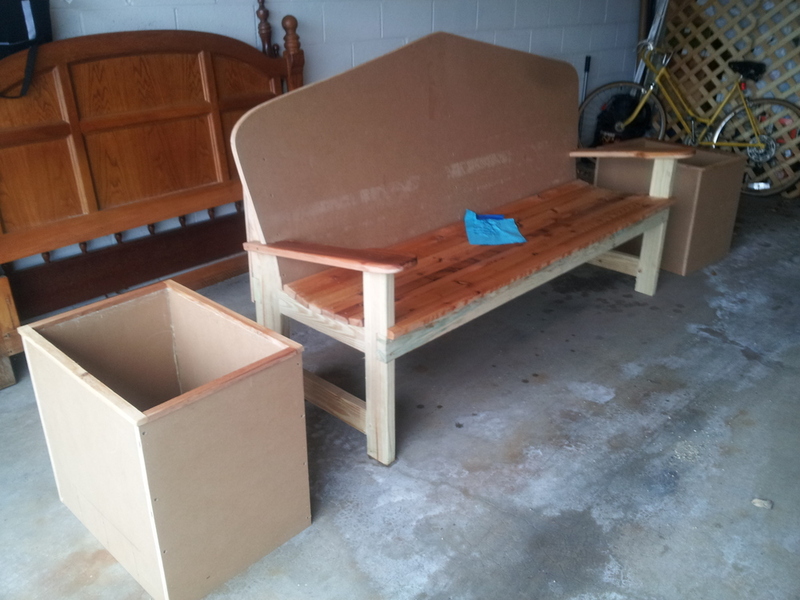 Here are some pictures of this year's bench. And check out my previous posts for last year's bench! Jack quits the Stone Industries Heroes after years of being groomed for the position and after getting drunk in a villain bar, Biff, a notorious villain sidekick, takes him under her wing and becomes his native guide through the underground of mad scientists, weapon handlers and a 10 year old necromancer. After a run in with the murderous Circus Gang that leaves the whole city topsy turvy, the team begins to understand who the true evil is. Hey folks. So obviously we haven't made our previously anticipated release date for the first full issue of Career Suicide. But I promise you, it will be completed this month and printed, ready for purchase in DECEMBER 2013 (next month). I am working on setting up a storefront under the "BUY COMICS" section of this website so you can buy the comics right here from us. I have also been hired on for two new projects. "A Devil in God's Country" written by Zack Rupp for which you can see artwork under the "A Devil in God's Country" tab. Also I have been hired by Natalie Thannum and Drake Newnum to do the artwork for their awesome book "Jack and Biff". I have posted character profiles under "Jack and Biff" to wet your whistle. Next Issue of Career Suicide Due out in August! Hello Folks! The next issue of Career Suicide will be out in August! This will be the first full 24 page COLOR issue! Please stay tuned right here for how to get your hands on the book! I will update in the next week or so with more concrete info. It's official! I will be exhibiting my new comic book Career Suicide at Chicago Alternative Comics Expo--CAKE 2013! 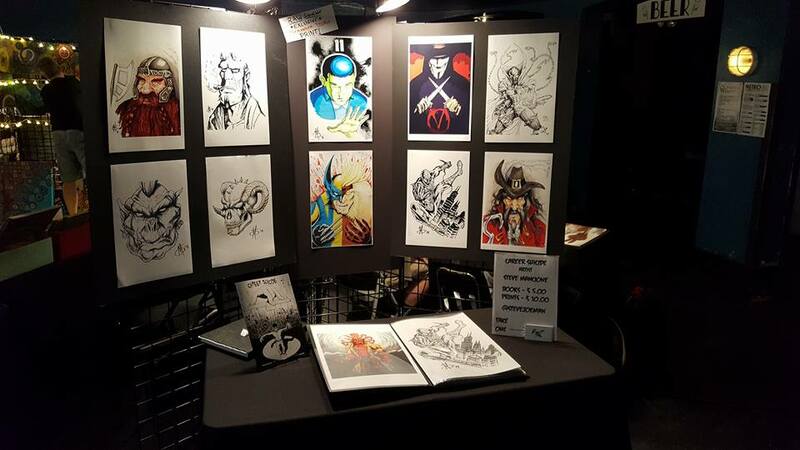 Come on down and check out the amazing prints, posters, comics and artists! Also...BUY MY STUFF!! Wall Street Journal does an article about the Benches on the Avenue! Check it out! The project I participated in...Benches on the Avenue is gaining some national notoriety from Wall Street Journal! 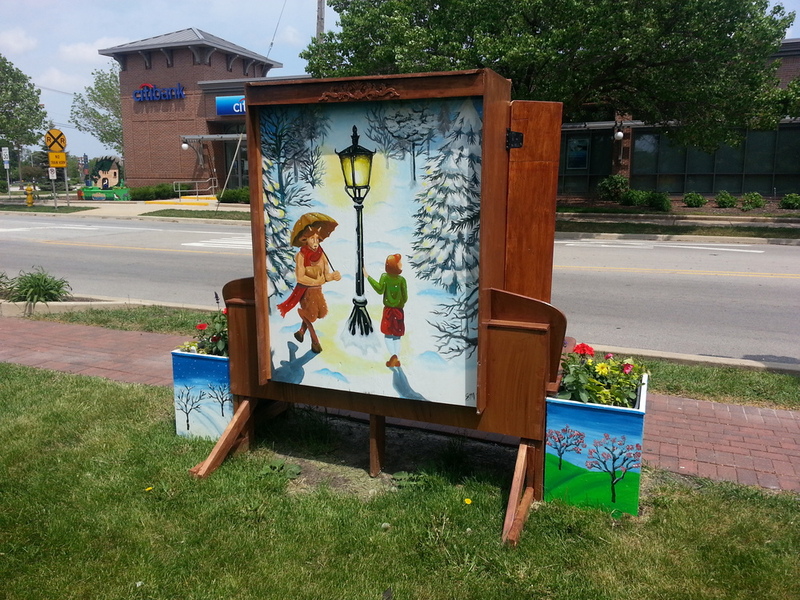 Each year the Village of Tinley Park holds a community art project called Benches on the Avenue. Artists from all around the South suburbs of Chicago are called to submit designs based on a theme chosen by the village. The parameters of these designs are focused on turning an otherwise ordinary public bench into a sculptural work of art. 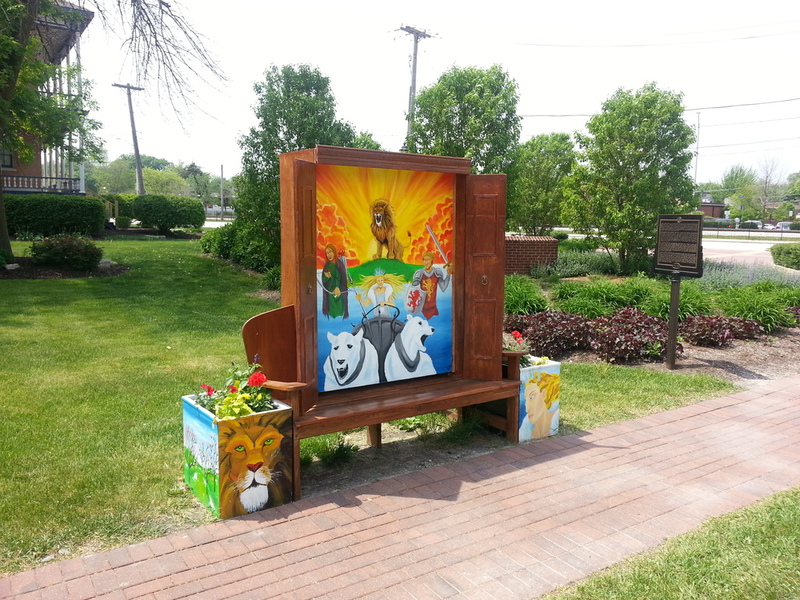 Each bench is then placed along Oak Park Avenue in Tinley Park's beautiful historic district, which is home to many of the town's restaurants, taverns, and businesses. This year's theme was "Fairy-Tale Festival". It challenged artists to draw inspiration from fairy tales old and new to transform the heart of Tinley into a fantasy world of mythical creatures, knights, and far away lands. The design I submitted was based on the first book of the Chronicles of Narnia, entitled The Lion, The Witch, and The Wardrobe by C.S. Lewis. The title of my design is Azlan Returns. A couple of weeks later, the project manager called and said that I had been selected from a large pool of submissions to create a bench for the city. After a brief meeting with the other participating artists and the project manager, I picked up what would essentially be the skeleton of my bench. It was definitely nice to have a starting point, but I had quite a bit of work ahead of me. The artists received their benches approximately 7 weeks before they had to be returned, completed and ready for installation. As 2D work turns to 3D you have to turn what was basically an idea on paper into..well...reality. This is where quite a bit of engineering and imagination comes in. To communicate the idea that the bench and the wardrobe were not separate, but one piece was critical to me. I wanted it to be a seamless transition, but the pre-existing bench skeleton posed inherent problems. Due to the pre-fabricated back being angled and longer than the length of the bench, I had to figure out a way to puzzle the wardrobe pieces over them, without creating a glaring oddity. Thanks to some master carpentry from Steve Mancione Sr. (my dad) we found a way to cut notches out of the boards to fit (almost) perfectly right over the top of the bench-back. 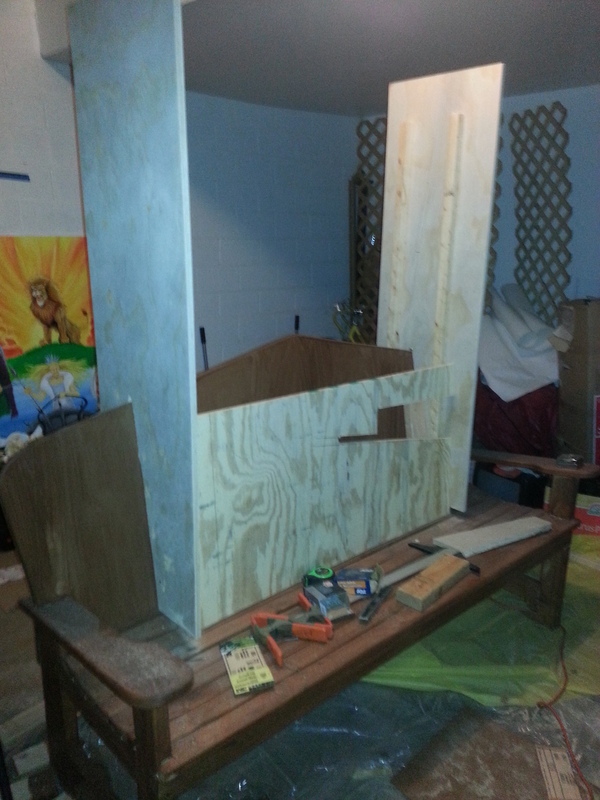 Flower boxes were included with the bench, here is the viewer's front left. Lion head fittings I found for the doors! I was very satisfied with the final results. My design came to life exactly how I envisioned. 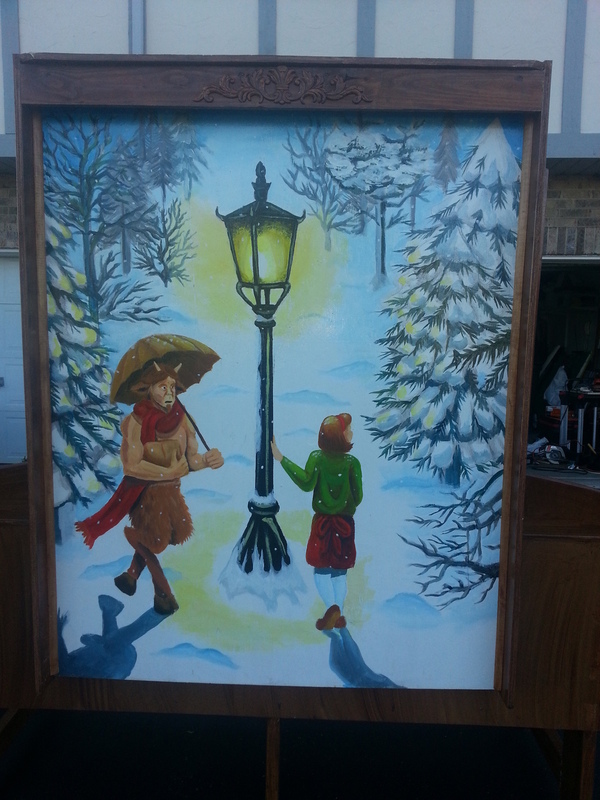 The wardrobe serves as a literal element in the story as the opening from our world to Narnia, but is also designed to invite the viewer into the fantasy by framing the paintings on either side. It functions as a gateway for the audience to peek into the story, when Azlan (the lion) returns to Narnia and brings Spring with him as he drives away winter, and the White Queen. 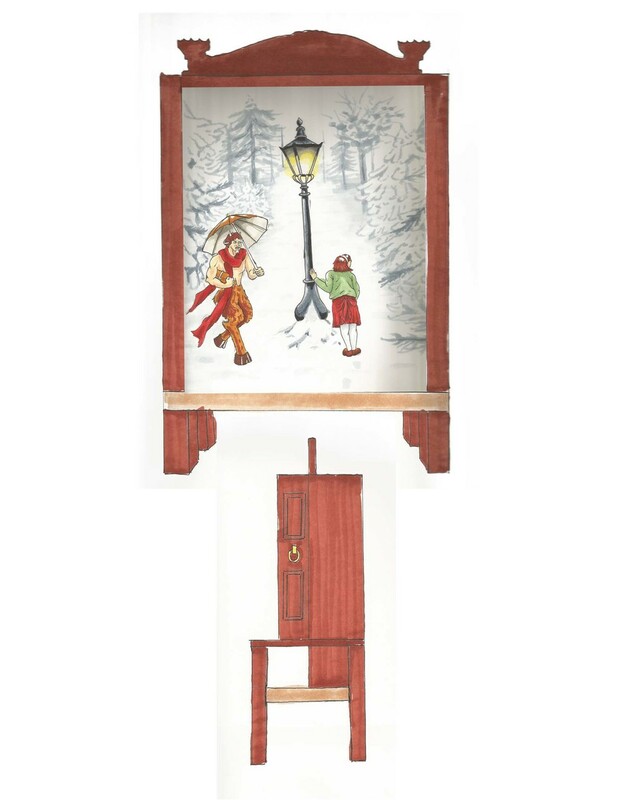 I wanted to create the experience that the entire wardrobe and bench were the same piece of furniture and could in fact be the entryway to Narnia. I am ecstatic to be a part of such an exciting community project that has become a mainstay in Tinley Park for over 10 years. I could not be more proud to be among my fellow bench artists from this year, I am truly honored to display my work along side theirs. Special thanks to my father for the amazing construction help. Benches will be on display May 9th! So what are you waiting for?!? Come down to Oak Park Avenue's Benches on the Avenue Fairy Tale Festival and take a seat (or 20)! This was started by Ivan Brunetti and edited by three Columbia grads...I'm included, so check it out! FINALLY!! Teaser frames for Career Suicide! Here are some frames from the first few pages of my upcoming book Career Suicide. Oh yes, a brand new story will be coming soon! Co-authored by long-time friend and colleague Frank Provenzano, this work is entitled Career Suicide ! I am currently in the midst of finishing pencils and inks for the production pages and continuing to work with Frank on writing for more issues. Our first issue should be rolling out late 2012 or early 2013! 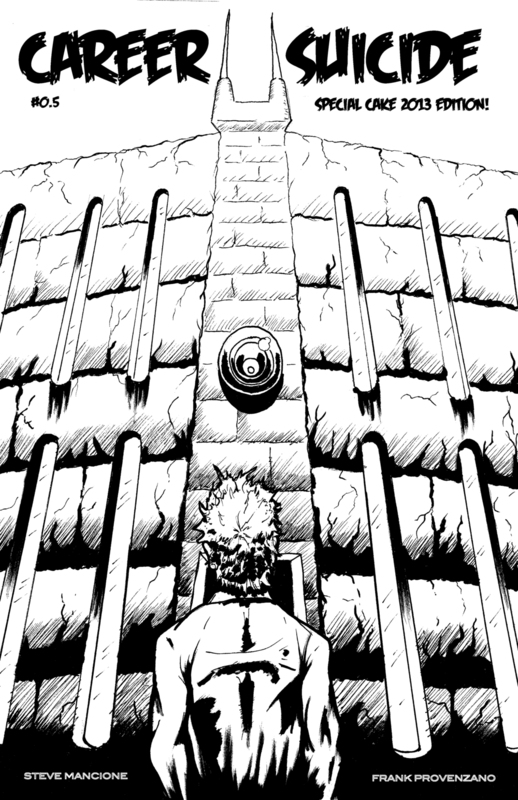 Stay tuned for some teaser pages which I will post right here! This article is pretty cool, and it includes some quotes from yours truly!